The primary and mid school ‘Sølystskolen’ is a merged institution between two city schools – placed on one site. The DNA of this project, both mentally and physically, is how to create the balance and interaction between the new and the old – all based on the strategy: ”Best value for money”. RUM has worked in close collaboration with both the client and the users. First task was to define the building program for a new visionary, flexible school within an existing framework. That process included four creative workshops with 80-100 teachers and managers as well as a number of meetings focusing on specific pedagogic topics. Alongside, we conducted a detailed technical registration of the existing buildings and analyzed how to achieve an efficient and profitable solution for energy and maintenance. This was combined with the agenda of creating modern and innovative learning spaces. The project involves a comprehensive plan for outdoor areas with a particular focus on the interaction between school and local community. As an example, a public pathway, which leads directly through the central part of the building containing a community kitchen, learning center and café, will be open for access 24 hours day / 7 days a week. 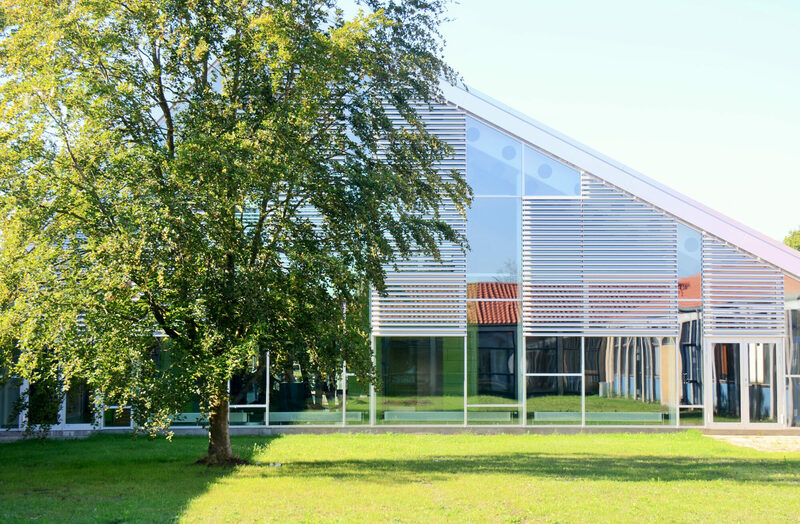 The project was nominated as ’School of the Year’ and the architectural award-winner 2015. Our overall goal was to ensure our merged schools a new, common identity. Therefore it was a gift for the process that RUM kept asking the question: ‘Why do you do as you do?’ You showed full respect to our educational skills and we only experienced you listening very carefully while developing the ideas. Mutual respect has been absolutely crucial to the positive process.